It’s been about 10 years since the Adaptive Sports Program of Ohio (ASPO) began, but their wheelchair basketball program made history at the Canton Memorial Civic Center. 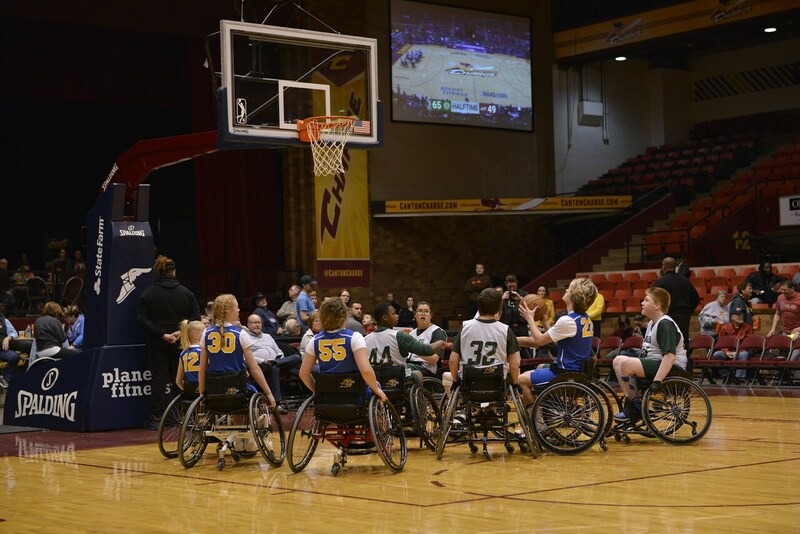 Two local teams, Wooster’s wheelchair basketball team and GlenOak’s wheelchair basketball team, received the opportunity of a lifetime – to play on the Canton Charge court during halftime of Saturday night’s game against Wisconsin Herd. ASPO is a non-profit organization established to promote the health and wellness of individuals with physical disabilities and provide competitive and recreational adaptive sport opportunities throughout Ohio. With several family members and supporters in attendance, a couple of athletes were able to play in an on-court wheelchair race game with Charge mascot Pozzie during the first half of the Charge game and then both teams went head to head in a 6-minute halftime game in front of a crowd of 2,000+ fans. 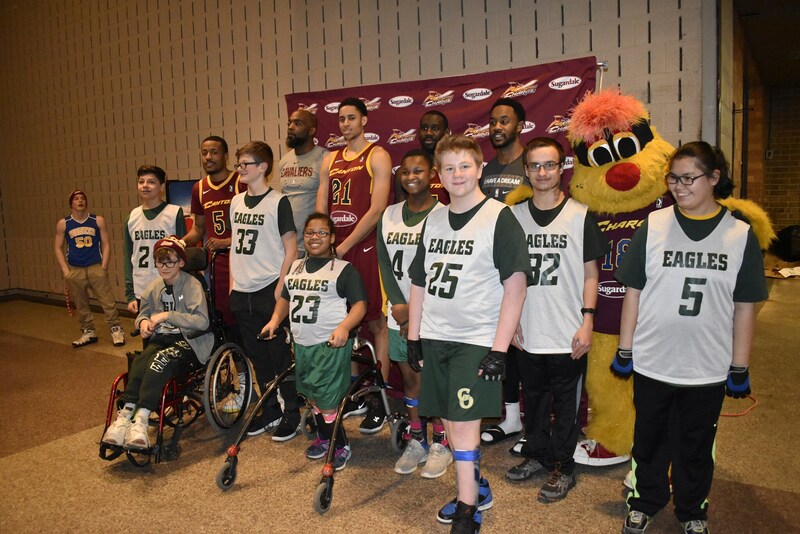 After the game, each athlete was able to meet some Canton Charge players who posed for photos, signed autographs and sealed the deal on a night to remember. “My favorite thing about tonight was that we got to meet the players,” said 11-year-old Braxton Martin who plays for GlenOak’s wheelchair basketball team and is in his second season playing with ASPO. Adaptive Sports Program of Ohio will be hosting its first gala on April 6, 2019 at the Pro Football Hall of Fame. McCoy shared that during the event, they will be pairing up their athletes with professional and semi-professional local able-bodied athletes in hopes of building relationships, getting to know one another, having a good time for a good cause. For more information on April 6, please contact Danielle McCoy at (330) 985-0085 or Danielle.McCoy@AdaptiveSportsOhio.org.